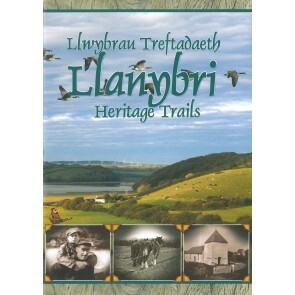 Search for ‘Llanybri Heritage Trails’ on Google Play (Android) or the AppStore (iOS). To encourage residents and visitors alike to foster a keen appreciation of the cultural, built and natural heritage of the Tywi/Tâf peninsula, by exploring on foot a variety of circular scenic walks starting from the historic hilltop village of Llanybri in south-west Carmarthenshire. The three circular walks (Coastal, Pilgrim and Farming) bring to life the cultural distinctiveness of the Llanybri locality featuring the stories, heritage and artefacts associated with (i) pilgrims and holiday-makers passing by; (ii) local characters making a living on coast, river and marsh and (iii) farming life in days gone by. Participation in the circular walks helps to engender a keen interest and concern in protecting the cultural heritage of the Tywi/Tâf peninsula for generations to come. The project has uncovered, published and preserved valuable local heritage resource material that had not to-date been made publicly available such as the oral stories of many local characters collected by long-term residents; a written record of old field names recently undertaken for Llansteffan Ward; and local research undertaken by Dyfed Archaeological Trust. Esau Evans was born on 13 July 1848, one of ten children born to Esau Evans and Rachel Lloyd, Hooks, Llanybri. His father was a blacksmith from the parish of Llanboidy and his mother hailed from Llanglydwen. The 1861 census finds 12-year-old Esau as a farm servant at Moche, Llansteffan, but by the time of the 1871 census, he was a 22-year-old collier living with his brother David and family in Hirwaun, Glamorgan. He was a member and also the organist of Nebo Chapel in Hirwaun, and it was during his stay in Hirwaun that he met his future wife Joan Rees . 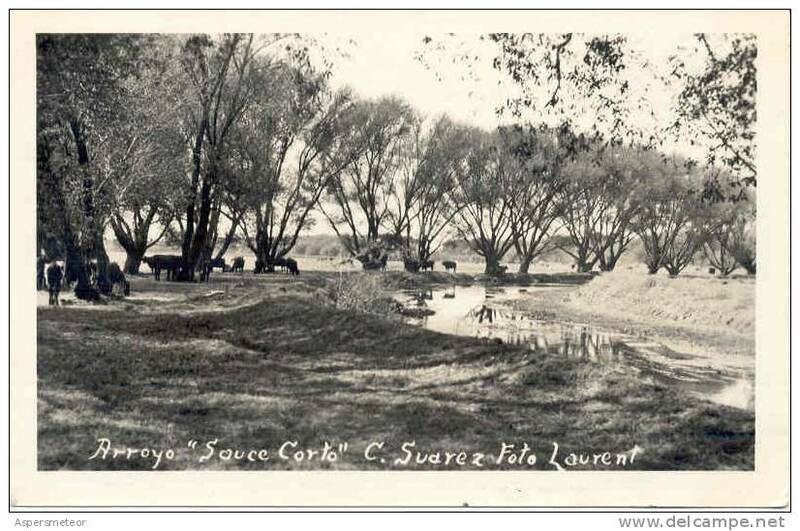 In 1875 Esau and Joan emigrated to Patagonia and after a few years they moved to Curumalam, Sauce Corto, Buenos Aires and then to the Andes where Esau is said to have prospected for gold. 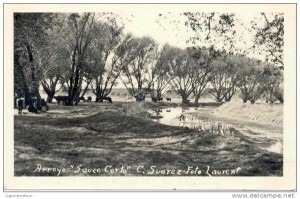 Esau David, the son of Esau and Joan Evans, was christened on 6 July 1885, and Christmas, another son who was born on 25 December 1887, was christened on 14 August 1887, both in Sauce Corto. Esau Evans experienced a religious calling and returned to Wales to train for the Ministry. Having been ordained at Heol Gerrig Chapel, Merthyr Tydfil, he returned to Patagonia in 1893. He was leader of community and choral singing in Gaiman for many years, a deacon and Secretary of Bethel Chapel, minister in Trevelin and Esquel, and a missionary for the Bible Society. The Bible Society in Buenos Aires sent Esau Evans a consignment of bibles in Spanish for him to distribute among those who had some knowledge of the language. He promptly set out across the pampas and reached the area where Sarmiento was later established, and later went north, to Telsin, where he is said to have spent some weeks going from one toldo to the other, conversing with the Natives, sometimes in Spanish and at other times in their own language. His health suffered from so much effort and Esau was forced to go to the British Hospital in Buenos Aires. Upon his return to the Andes he informed the members of his two churches there that he no longer felt able to serve them as he would have wished, and he was, therefore, returning to Gaiman. The following epitaph is found on Esau Evans’s gravestone in Gaiman cemetery: Er Serchog Goffadwriaeth am y Parch Esau Evans Ganed yn Llanybri, Sir Gaerfyrddin De Cymru, Gorffennaf 13 1848 Daeth i’r Wladfa yn y flwyddyn 1875 Bu yn Weinidog ffyddlon ar Eglwys y Cwm ac Esquel Bu farw Ionawr 1af 1921 Yn 72 mlwydd oed [ In Loving Memory of the Rev. Esau Evans Born in Llanybri, Carmarthenshire South Wales, July 13 1848. He came to the Colony in1875. He was a faithful Minister in the churches of the Cwm Hyfryd and Esquel. He died January 1st 1921 Aged 72 ] Wele fedd gŵr anwyl fu – yn gennad Llawn, Honest dros Iesu: O’i orchwyl aeth i ddyrchu Salm y gwaed yn Salem gu 37 [Here lies a dear man who was a true and honest ambassador for Jesus. He abandoned his labours to exalt Christ’s blood in beloved Salem].